My research interest is to develop solutions based on machine learning, signal processing, and information theory for problems involving audio, video, and biomedicine. Examples of topics that I have worked on recently are: distributed processing, WaveNet based speech coding, variational auto-encoders, domain adaptation for deep learning, generative modelling based enhancement, spatial audio, blind source separation, signal enhancement, coding, auditory modelling, entropy estimation, audio and video coding, and algorithms that predict perceived signal quality . Ph.D. scholarships are available in machine learning and audio processing. Bastiaan joined Victoria in 2010. 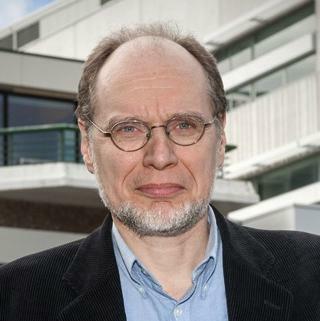 Since 2011, he is also a Professor (part-time) at Delft University of Technology, where is now in the Circuits and Systems Group at the Department of Microlectronics. Until 2014 he was a Professor at KTH - the Royal Institute of Technology - in Stockholm, where he was Head of the Sound and Image Processing Laboratory. He was a founder of Global IP Solutions, a company that developed audio and video processing technologies for communication over the Internet for companies such as Skype, IBM, Cisco, and Google; it was acquired by Google in 2010. Before moving to Sweden, Bastiaan worked in the Research Division of Bell Laboratories in Murray Hill, New Jersey, mostly in the area of speech processing. He holds a Ph.D. in Electrical Engineering from Delft University of Technology, a Ph.D. in Soil Science from the University of California (UCR), an MS in Physics (UCR) and an MS in Electrical Engineering from Stanford. He is an IEEE Fellow.